How to clear contacts in iOS 11? 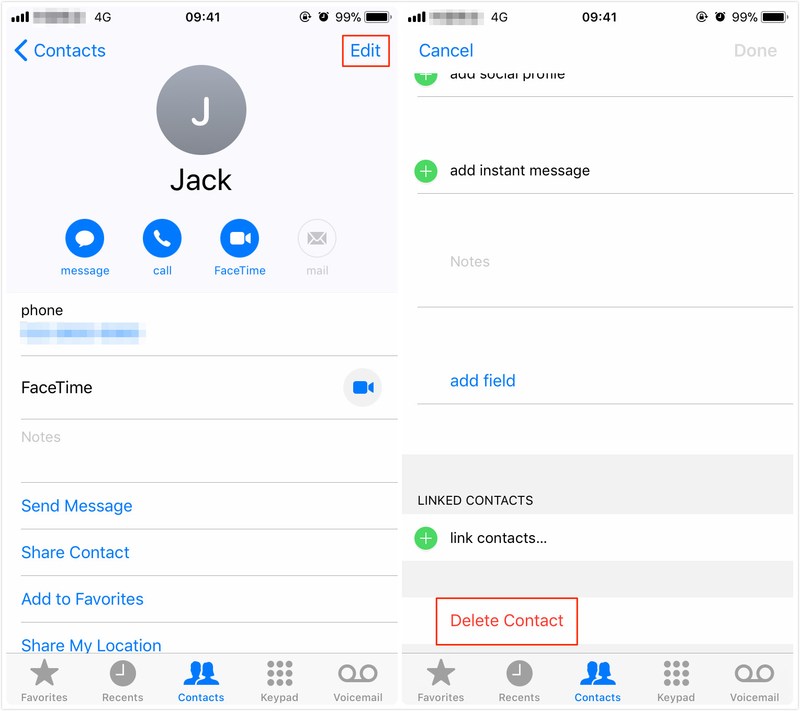 This post will show you two methods to delete contacts in iOS 11 devices (iPhone X/iPhone 8 included). Download AnyTrans free trial and use it to manage contacts and more on your iOS devices. Now read on to learn how to remove contacts from iPhone X/8 (Plus) and iOS 11. The new iPhone X/iPhone 8 (Plus) comes with iOS 11 and it has the best performance and battery life ever, and a great number of users have upgraded to the new system and iPhone. How to manage your huge contact list in iOS 11 or iPhone X/8 (Plus)? 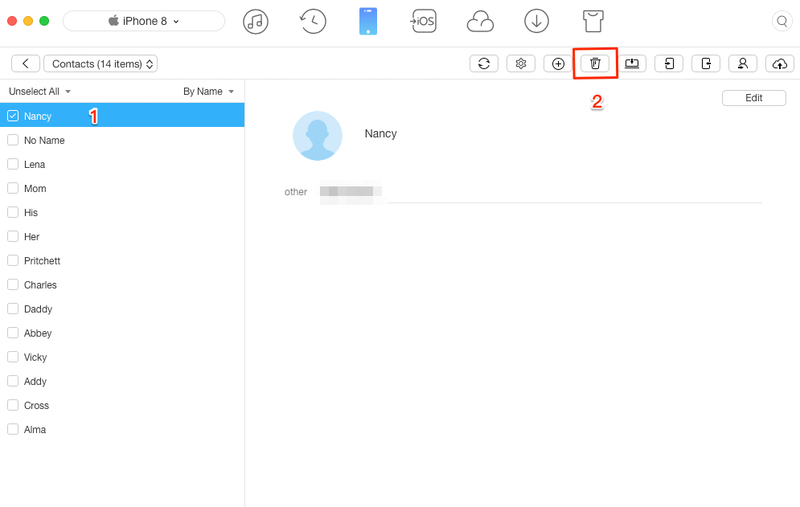 As we know Apple doesn’t officially gives a way to delete multiple contacts on iOS devices (iPhone/iPad/iPod touch), and in this post, we are going to show you 2 ways to delete contacts in iOS 11 as well as iPhone X/8 (Plus). AnyTrans is an iOS File Manager for all iPhone, iPad and iPod users. It brings you excellent management experience on contacts, messages, notes, photos, music, videos, etc. Extract contacts in iOS 11 and allow you to select ALL or Multiple contacts to delete, greatly save your time. Enable you to transfer contacts from iPhone X/8 (Plus) to computer in csv or vcf format. Sync contacts from iPhone to new iPhone X/8 (Plus) selectively. Edit and create new contacts, including contact avatar and detailed info. Step 1. Download AnyTrans and run it > Connect your iPhone X/8 (Plus) or iOS 11 device to the computer > Click Device tab > Click the button on the right as screenshot shows to you. Step 2. Wait for a while and choose Contacts. Step 3. Check the contact(s) you want to delete > Click the Trash Can icon. 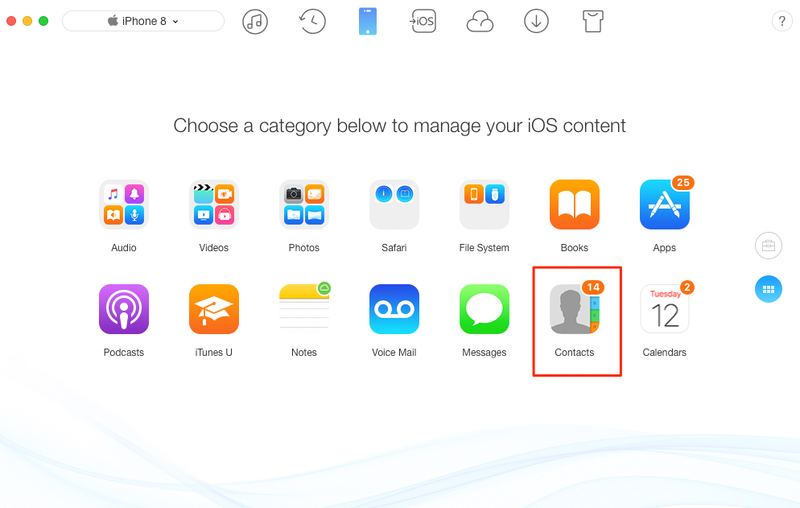 In your Contacts app on iOS 11, you can delete a contact with few steps, however, if you want to delete hundreds and even thousands of contacts from your device, this would be a nightmare. Step 1. Open Contacts app or Phone app on your iPhone. Step 2. Search and find the contact you want to delete. Step 3. Tap on Edit. Step 4. Scroll down until you see the Delete Contact option. Tap on it. Finally, delete on Done.